The Philippines is inhabited by more than 175 ethnolinguistic nations, the majority of whose languages are Austronesian in origin, then Han Chinese, then Japanese, Indian Filipino, then European (mostly Spanish) as well as a small number of Americans. Many of these nations converted to Christianity, particularly the lowland-coastal nations, and adopted many foreign elements of culture. Ethnolinguistic nations include the Ivatan, Pangasinan, Kapampangan, Tagalog, Bicolano, Visayans (Masbateño, Hiligaynon, Cebuano, Waray, Butuanon, Romblomanon, Kamayo, Cuyonon, and Surigaonon), Zamboangueño, Subanon, and more. In western Mindanao and the Sulu Archipelago, there are ethnolinguistic nations who practice Islam. The Spanish called them Moros after the Moors, despite no resemblance or cultural ties to them apart from their religion. In the Agusan Marsh and the highlands of Mindanao, there are native ethnic groups collectively known as the Lumad. Most maintain their animistic beliefs and traditions, though some of them have converted to Christianity as well. The Negrito migrated from Africa and were among the earliest human beings to settle the Philippines. The first known were the people of the Callao Man remains. The Negrito population was estimated in 2004 at around 31,000. Their tribal groups include the Ati, and the Aeta. Their ways of life remain mostly free from Western and Islamic influences. Scholars study them to try to understand pre-Hispanic culture. Majority of the Filipinos are related to Malay people, a major family within the Malay language family. Other ethnolinguistic nations form a minority in the Philippine population. These include those of Japanese, Chinese particularly the Hokkien and Cantonese, Indians particularly the Punjabi, Tamil and Keralites, Spanish. A 2008 genetic study showed no evidence of a large-scale Taiwanese migration into the Philippines. The Leeds University study, published in Molecular Biology and Evolution, showed that mitochondrial DNA lineages have been evolving within Island Southeast Asia (ISEA) since modern humans arrived approximately 50,000 years ago. There is no genetic evidence for large-scale population replacement, displacement, or absorption to suggest replacement of preexisting hunting and gathering populations by farming-voyaging immigrants from Taiwan. Population dispersals occurred at the same time as sea levels rose, which resulted in migrations from the Philippines to as far north as Taiwan within the last 10,000 years. Examination in the 2000's of mitochondrial DNA lineages showed that the neolithic culture (malay) had been evolving within Island Southeast Asia (ISEA) for a longer period than previously believed. Per co-author Stephen Oppenheimer, from the Oxford University School of Anthropology, population migrations were most likely to have been driven by climate change—the effects of the drowning of a huge ancient peninsula called Sundaland, that extended the Asian landmass as far as Borneo and Java. This happened during the period 15,000 to 7,000 years ago following the last Ice Age. Rising sea levels in three massive pulses caused flooding and the submergence of the Sunda Peninsula, creating the Java and South China Seas and the thousands of islands that make up Indonesia and the Philippines today. According to a 2008 study by Mark Donohue of the Australian National University and Tim Denham of Monash University, there is no linguistic evidence for an orderly north-to-south dispersal of the malay languages from Taiwan through the Philippines and into Island Southeast Asia (ISEA). The Philippine Statistics Department does not account for the racial background or ancestry of an individual. The official population of all types of mestizos (Asian, American, etc.) that reside inside and outside of the Philippines remains unknown. Although a study provided by Stanford University found that European introgression into the Philippines was evident due to the period of colonization, it only genotyped 28 individuals from the Philippines. Results from such a small sample cannot be used with high confidence to characterize a population of 92 million persons. [a] Old Spanish censuses state that as much as 33.5% or one third of the population of the main island of Luzon had full or partial Hispanic or Latino (Mestizo, Mulatto and Native-American) descent. According to another genetic study done by the University of California (San Francisco), they discovered that a “modest” amount of European genetic ancestry was found among some respondents who self-identified as Filipinos. A 2015, Y-DNA compilation by the Genetic Company: "Applied Biosystems", using samples taken from all over the Philippines, resulted in a 13.33% frequency of the European/Spanish Y-DNA R1b. Also, according to a massive DNA study conducted by the National Geographic's, "The Genographic Project", based on genetic testings of 80,000 Filipino people by the National Geographic in 2008–2009, they found that the average Filipino's genes are around 53% Southeast Asia and Oceania, 36% East Asian, 5% Southern European, 3% South Asian and 2% Native American. The minority aboriginal settlers in the Philippines were primarily Negrito groups, an Australoid group and a left-over from the first human migration out of Africa to Australia. However, the people of the Philippines along with Papuans, Melanesians and Australian Aboriginals also hold sizable Denisovan admixture in their genomes. The Chinese are mostly the descendants of immigrants from Fujian in China after 1898, numbering around 2 million, although there are an estimated 27 percent of Filipinos who have partial Chinese ancestry, stemming from precolonial and colonial Chinese migrants. Intermarriage between the groups is evident in the major cities and urban areas. On 2015, the Y-DNA compilation by the company, "Applied Biosystems", which used samples all across the Philippines, resulted in a 13.33% frequency of the European/Spanish Y-DNA R1b. The same Y-DNA study showed an estimated 1% frequency of the South Asian (Indian) haplogroup H1a. Thus translating to about 1,011,864 Filipinos having full or partial Indian descent and a similar 1% frequency of the Haplogroup L1 which is of Nordic European origin making another 1 Million Filipinos, of Nordic descent too. The Philippines was a former American colony and during the American colonial era, there were over 800,000 Americans who were born in the Philippines. As of 2015, there are now 220,000 to 600,000 American citizens currently living in the country. There are also 250,000 Amerasians scattered across the cities of Angeles, Manila, Clark and Olongapo. Inside the firth chamber of Callao Cave, where the remains of the Callao Man were discovered. Prehistoric Tabon Man, found in Palawan in 1962 was, until 2007, the oldest human remains discovered by anthropologists in the Philippines. Archaeological evidence indicates similarities with two early human fossils found in Indonesia and China, called the Java Man and Peking Man. In 2007, a single metatarsal from an earlier fossil was discovered in Callao Cave, Peñablanca, Cagayan. That earlier fossil was named as Callao Man. The Negritos arrived about 30,000 years ago and occupied several scattered areas throughout the islands. Recent archaeological evidence described by Peter Bellwood claimed that the ancestors of Filipinos, Malaysians, and Indonesians first crossed the Taiwan Strait during the Prehistoric period. These early mariners are thought to be the Malay people. They used boats to cross the oceans, and settled into many regions of Southeast Asia, the Polynesian Islands, and Madagascar. By the 14th century, the Malayo-Polynesian ethnolinguistic nations had dominated and displaced the Negrito population in most areas. Traders from southern China, Japan, India, Arabia, Malaysia, and Indonesia, also contributed to the ethnic, and cultural development of the islands. By the 16th century, Spanish colonization brought new groups of people to the Philippines mainly Spaniards, Mexicans and Peruvians. Many settled in the Philippines, and intermarried with the indigenous population. This gave rise to the Filipino mestizo or individuals of mixed Malay and Hispanic descent. Far more numerous were Chinese immigrant workers, known as sangley, as many Chinese historically had been traders. They intermarried with Filipinos, and their children and descendants were called mestizo de sangley. By the 19th century, the more successful among them had risen to become wealthy major landowners. They could afford to have their children educated in elite institutions in the Philippines and Europe. By the opening of the Suez Canal in the 1800s, the Spanish opened the Philippines for foreign trade. Europeans such as the British, Germans, and French settled in the islands to do business. By the end of the Spanish colonial period, the native ethnic groups of the Philippines began calling themselves Filipinos, a term that had begun as self-identification for persons of Spanish descent born in the Philippines. Following its victory in the Spanish–American War, the United States created a colonial authority in the Philippines in 1898. Military troops and businessmen made their way to the country, bringing in new ethnic groups, culture and language. In the late 19th century. The Philippines has over 180 indigenous ethnic groups, over half of which represent unique linguistic groups. The Bicolanos are a predominantly Roman Catholic ethnic group that originates from the Bicol Region in Southern Luzon. They are the fifth-largest ethnolinguistic group in the Philippines. There are several Bikol languages of which there is a total of about 3.5 million speakers. The most widespread Bikol language is Central Bikol comprising Naga, Legazpi, Daet and Partido dialects (Virac is sometimes considered as a separate language). They are known for their cuisine heavily using chili peppers and coconut milk. Gaddang The Gaddang number about 25,000. They are known to have inhabited the upper Cagayan Valley, particularly Isabela and Nueva Vizcaya since before the Spanish arrived. Their language is distantly related to Ibanag and Yogad; it is also spoken by ethnically-related highland Ga'dang in the provinces of Ifugao and Mountain Province. Ibanag The Ibanags are a predominantly Christian lowland ethnic group numbering around half a million people and who primarily inhabit the provinces of Cagayan and Isabela in the Cagayan Valley of northern Luzon. They speak the Ibanag language, which is distantly related to Ilocano. The Ilocano people are a predominantly Christian group who reside within the lowlands and coastal areas of northwestern Luzon. Other Ilocanos are also found in Cordillera Administrative Region and Cagayan Valley. Minor pockets of Ilocanos are also found in scattered parts of Central Luzon, such as Zambales, Tarlac, Nueva Ecija, and Aurora, in Metro Manila and in some municipalities in Mindanao, mainly in Sultan Kudarat. They speak Ilocano and they form the third largest ethnolinguistic group in the Philippines at about 8.1 million. Their foremost folk literature is Biag ni Lam-ang (The Life of Lam-ang), an epic poem with similarities with the Ramayana. The Ivatan (also spelled as Ibatan) are the predominant ethnolinguistic group in the Batanes islands of the Philippines. They have close cultural links with the Taiwanese aborigines. The Kapampangan people are the seventh-largest ethnolinguistic group in the Philippines. They predominate in the southwestern portion of Central Luzon (entire Pampanga, southern Tarlac, southwestern Nueva Ecija, southeastern Zambales, western Bulacan and northeastern Bataan). They are predominantly Christian (mainly Roman Catholic). They primarily use the Kapampangan language, which is spoken by more than 1.4 million individuals. In the Spanish colonial era, Pampanga was known to be a source of valiant soldiers. There was a Kapampangan contingent in the colonial army who helped defend Manila against the Chinese Pirate Limahon. They also helped in battles against the Dutch, the English and Muslim raiders. 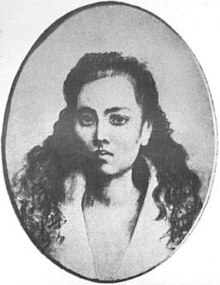 :3 Kapampangans, along with the Tagalogs, played a major role in the Philippine Revolution. The Pangasinan people are the eighth-largest ethnolinguistic group in the Philippines. They predominate in the northwestern portion of Central Luzon (entire Pangasinan, northern Tarlac, northwestern Nueva Ecija and northern Zambales), as well as southwestern parts of La Union and Benguet. They are predominantly Christian (mainly Roman Catholic). They primarily use the Pangasinan language, which is spoken by more than 1.2 million individuals. The Sambals are the inhabitants of the province of Zambales, including the independent city of Olongapo. They are also found in the municipalities of Bolinao and Anda in northwestern Pangasinan. Sambals currently make up a large proportion of the population in the Zambales municipalities of north of Iba, the provincial capital. Their language, Sambal, is related to Kapampangan. Subanon or Subanu (also called Subanen or Subanun) is a Subanon word meaning "from the river." The term is derived from the root soba or suba (meaning "river") and the suffix -nun or -non which indicates locality or place of origin. Subanon are also known in the Anglicized form as "Subanen". The Subanon people are the largest lumad group (non-Muslim or -Christian indigenous cultural community) on the island of Mindanao. This ethnic group were the aborigines of western Mindanao particularly in Zamboanga Peninsula areas which are divided into different provinces such as Zamboanga del Sur, Zamboanga del Norte, Zamboanga Sibugay, Basilan, Misamis Occidental and extended to the province of Misamis Oriental. The Subanon people speak the Subanon language. The Tagalogs are the second most widespread ethnic group in the Philippines. They predominate the entirety of the Manila and mainland southern Luzon regions, with a plurality in Central Luzon (mainly in its southeastern portion, as well as parts of Zambales and Bataan provinces) and coastal parts of Mindoro. The Tagalog language was chosen as an official language of the Philippines in the 1930s. Today, Filipino, a de facto version of Tagalog, is taught throughout the archipelago. As of the 2000 census[update], there were about 21.5 million speakers of Tagalog in the Philippines, 23.8 million worldwide. The Visayans are an ethnic group native to the whole Visayas, to the southernmost islands of Luzon and the northern and eastern coastal parts of Mindanao. They are speakers of one or more Visayan languages, the most widely spoken being Cebuano, Hiligaynon and Waray-Waray. Other groups speak smaller languages such as Capiznon, Kinaray-a, Aklanon, Masbateño, Romblomanon, Surigaonon and Butuanon. They comprise the largest ethnic group in the nation, numbering at around 33 million as of 2010. The Zamboangueño people are an ethno-linguistic group of Hispanic and Malay descent speaking Chavacano a Spanish-based creole and they number almost a million people. The Zamboangueño people (Chavacano/Spanish: Pueblo Zamboangueño) are a creole ethnic group of the Philippines and Malaysia originating in Zamboanga City (formerly, República de Zamboanga). Spanish censuses record that as much as one third of the inhabitants of the city of Zamboanga possess varying degrees of Spanish and Hispanoamerican admixture. In addition to this, select cities such as Manila, Vigan, Bauang, Naga, Iriga, Iloílo, Bacólod, Cebú and Zamboanga, which were home to military fortifications or commercial ports during the Spanish era, also hold sizable mestizo communities. The Zamboangueño constitute an authentic and distinct ethnic identity because of their coherent cultural and historical heritage, most notably the Old Castilian-based creole language "Chavacano" language, that distinguishes them from neighbouring ethnic groups. Batak The Batak is a group of indigenous Filipino people that resides in the northeast portion of Palawan. Bugkalot The Bugkalot are a 2,500-person tribe that lives in the southern Sierra Madre and Caraballo Mountains, on the east side of Luzon Island in the Philippines, primarily in the provinces of Nueva Vizcaya and Nueva Ecija. The Igorots/Cordillerans (Apayao, Itneg, Kalinga, Bontoc, Ifugao, Ibaloi, Kangkana-ey and Kalanguya) live in the highlands of Luzon. They are primarily located in the Cordillera Administrative Region. The Ilongot are a headhunting ethnolinguistic nation found in the Caraballo Mountains. Kagayanen The Kagayanen are from the municipality of Cagayancillo, Palawan province. There are about 36,000 Kagayanen in the Philippines. The Lumad of Mindanao includes several ethnolinguistic nations such as the Manobo, the Tasaday, the Mamanwa, the Mandaya, the B'laan, the T'boli, and the Kalagan. They primarily inhabit the eastern parts of Mindanao such as the Caraga, and Davao Regions. The Mangyan communities are found in Mindoro. They are 13% in the population. The Molbog (referred to in the literature as Molebugan or Molebuganon) are concentrated in Balabak island and are also found in other islands of the coast of Palawan as far north as Panakan. The word Malubog means "murky or turbid water". The Molbog are probably a migrant people from nearby North Borneo. Judging from their dialect and some socio-cultural practices, they seem to be related to the Orang Tidung or Tirum (Camucone in Spanish), an Islamized ethnolinguistic nation native to the lower east coast of Sabah and upper East Kalimantan. However, some Sama words (of the Jama Mapun variant) and Tausug words are found in the Molbog dialect after a long period of exposure with those ethnics. This plus a few characteristics of their socio-cultural life style distinguish them from the Orang Tidung. Molbog livelihood includes subsistence farming, fishing and occasional barter trading with the Moros and neighbouring ethnolinguistic nations in Sabah. In the past, both the Molbog and the Palawanon Muslims were ruled by Sulu datus, thus forming the outer political periphery of the Sulu Sultanate. Intermarriage between Tausug and the Molbog hastened the Islamization of the Molbog. The offsprings of these intermarriages are known as kolibugan or "half-breed". The Negrito are several ethnic groups of the Australoid race who inhabit isolated parts of Southeast Asia. Their current populations include 12 Andamanese peoples of the Andaman Islands, six Semang peoples of Malaysia, the Mani of Thailand, and the Aeta/Agta and Ati, and 30 other peoples of the Philippines. Genetically, Negritos are the most distant human population from Africans at most loci studied thus far (except for MC1R, which codes for dark skin). The Negrito, Aeta, Batak, and Mamanwa live in remote areas throughout the islands. Palawan ethnolinguistic nations The tribes of Palawan are a diverse group of tribes primarily located in the island of Palawan and its outlying islands. These ethnolinguistic nations are widely distributed to the long strip of mainland island literally traversing Luzon, Visayas and Mindanao. Palawan is home to many indigenous peoples whose origins date back thousands of centuries. Pre-historic discoveries reveal how abundant cultural life in Palawan survived before foreign occupiers and colonizers reached the Philippine archipelago. Today, Palawan is making its best to preserve and conserve the richness of its cultural groups. The provincial government strives to support the groups of indigenous peoples of Palawan. Pala'wan The Pala'wan are a tribal people found in Southern Palawan particularly Quezon, Palawan. The Tagbanwas speak the Tagbanwa language and has several sub-dialects. They are able to comprehend Tagalog, and, depending on their proximity to neighboring ethnolinguistic nations, Batak, Cuyonen and Calamian languages. They usually dress like the non-tribal lowlanders. However, elder men prefer to wear G-string while tilling or fishing. Houses are built from available forest materials. Bamboo and wood are used for the house's frame anahaw leaves are used to create walls and the roof and bamboo slats are used as flooring. Their basic social unit is the nuclear family which is composed of a married couple and their children usually one girl and one boy. Taaw't Bato The Taaw't Bato's name means "people of the rock". They are not actually a separate language or ethnolinguistic nation, but rather a small community of traditional S.W. Palawanos who happen to reside in the crater of an extinct volcano during certain seasons of the year, in houses built on raised floors inside caves though others have set their homes on the open slopes. They are found in the Singnapan Basin, a valley bounded by Mount Mantalingajan on the east and the coast on the west. North of them is the municipality of Quezon, Palawan and to the South are the still unexplored regions of Palawan. As of 1987, their population was about 198. Note that the common-seen spelling "Tau't Bato" or "Tau't Batu" is a misspelling based on the Tagalog word for "human" (tao). The Palawano word is taaw. The men of the tribe wear G-strings while the women cover their lower bodies with bark or cloth that is made into a skirt. The upper half is left exposed although some now wear blouses that are bought from the market. The people practice agriculture with cassava as the major source of carbohydrates. They also plant sweet potatoes, sugarcane, malunggay (Moringa oleifera), garlic, pepper, string beans, squash, tomatoes and pineapples. Others practice fishing, hunting and industrial arts. Their social organizations are based on family (kin ties), band (type of substinence activity) and settlement (geographic location). Suludon The Tumandok people are an indigenous group who live in central Panay island. They are the largest indigenous people’s group in Panay, with a population As of 2011[update] of some 94,000. They are mostly slash-and-burn farmers with bisaya rice as the main crop, the Tumandok also engage in hunting, fishing, and foraging for fruits and root crops. The Philippines consists of a wide number of settlers that form part of the national population. They immigrated or descended from various countries, most notably Spain, China, the United States, Japan, and India. Spanish, Hispanic These are descendants of the Spanish and Hispanic settlers who settled in the Spanish East Indies (Philippines) during the Spanish Era. Most were of either Spanish ancestry or Amerindian-Spanish ancestry (The term 'Mestizo' originated in Latin America). The first groups of Hispanics sailed in 1565 with Miguel López de Legazpi from New Spain, in what is now Jalisco state, Mexico to colonize the Philippines. Indian Philippines has been part of Indianized kingdoms from the 7th century Srivijaya and earlier era. Indian culture, language, scripture, food, belief, arts, martial arts, epics have had profound impact on pre-Spanish Philippines which is still visible. They have contributed to the unique cultural blend in the Philippines. One source estimated the size of the Indian community in the Philippines in 2008 at 150,000 persons. Most Indians in the Philippines belong to either Sindhi people or Punjabi people ethnic groups, and are largely businessmen and traders. A smaller population of Indians belonging to the Marathi ethnic group form part of the clergy of Roman Catholic dioceses in the country. Chinese Most migrations of Chinese to the Philippines started even before the Spanish colonial period, when foreign trade with other countries were opened to the Philippines. Ethnic Chinese sailed around the Philippine Islands from the 9th century onward and frequently interacted with the local Filipinos. 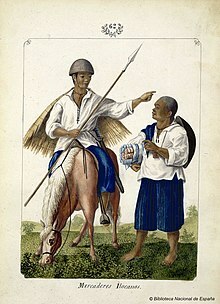 Some datus, rajahs, and lakans (indigenous rulers) in the Philippines were themselves a product of the intermarriage between the Chinese merchant-settlers and the local Filipinos. American Some of these multiracial individuals are descended from Americans who settled in the Philippines during the United States colonial period, and others from tourists who have settled in the Philippines in the contemporary period. As of 2011[update], the U.S, State Department estimated that there are an estimated four million Americans of Philippine ancestry in the United States, and more than 300,000 to 600,000 American citizens in the Philippines. Japanese Japanese residing in the Philippines including Filipinos of Japanese descent. Japanese people have been settling in the Philippines for centuries, therefore there has been much cultural and genetic blending. The Ryukyu Kingdom (Okinawa, etc ... ) also had heavy trade and mixing in the Philippines, particularly in Northern Luzon. Jewish Majority of the Jews in the Philippines are of the Sephardic branch of Judaism. The official population is unknown. Koreans Most of them are transient students and expatriates. Most are tourists or students studying in the Philippines. Arabs Their official population is unknown. Other ethnic groups and/or nationalities include various European ethnicities (i.e. Italian and Greek), Brazilian, Canadian, Australian, New Zealander, Pacific Islander, Malaysian, Thai, Vietnamese, and other ethnic groups from other countries. ^ One sample size calculator recommended by D. A. De Vaus (2002). Surveys in Social Research. Routledge. pp. 83. ISBN 978-0-415-26857-8. , shows that a 3.6% result from a sample size of 28 for a population of 95 million has a confidence interval of 6.9 (3.6%, plus or minus a margin of error of 3.45), with a 95% confidence level in that result. A sample size of over 9,500 would have been needed for a 95% confidence level that a percentage result characterizes a population of 95 million with a confidence interval of 1%. A sample size of 500 would have produced a confidence interval of 1.63. ^ With a sample population of 105 Filipinos, the company of Applied Biosystems, analysed the Y-DNA of average Filipinos and it is discovered that about 0.95% of the samples have the Y-DNA Haplotype "H1a", which is most common in South Asia and had spread to the Philippines via precolonial Indian missionaries who spread Hinduism and established Indic Rajahnates like Cebu and Butuan. ^ Adelaar, K Alexander; Himmelmann, Nikolaus (eds.). The Austronesian Languages of Asia and Madagascar. p. 56. ISBN 978-0-7007-1286-1. Retrieved 15 August 2014. ^ a b c d "Climate Change and Postglacial Human Dispersals in Southeast Asia". Molecular Biology and Evolution. 25 (6). June 1, 2008. ^ "Sample Size Calculator". Creative Research Systems. ^ "The ethnic Chinese variable in domestic and foreign policies in Malaysia and Indonesia" (PDF). Retrieved April 23, 2012. ^ Soares, PA; Trejaut, JA; Rito, T; Cavadas, B; Hill, C; Eng, KK; Mormina, M; Brandão, A; Fraser, RM; Wang, TY; Loo, JH; Snell, C; Ko, TM; Amorim, A; Pala, M; Macaulay, V; Bulbeck, D; Wilson, JF; Gusmão, L; Pereira, L; Oppenheimer, S; Lin, M; Richards, MB (2016). "Resolving the ancestry of Austronesian-speaking populations". Hum Genet. 135: 309–26. doi:10.1007/s00439-015-1620-z. PMC 4757630. PMID 26781090. The final component (dark blue in Fig. 3b) has a high frequency in South China (Fig. 2b) and is also seen in Taiwan at ~25–30 %, in the Philippines at ~20–30 % (except in one location which is almost zero) and across Indonesia/Malaysia at 1–10 %, declining overall from Taiwan within Austronesian-speaking populations. Indian Dating and Matchmaking in Philippines – Indian Matrimonials Archived October 17, 2012, at the Wayback Machine. Futurescopes.com (January 3, 2011). Retrieved on July 4, 2012. ^ "The Bagelboy Club of the Philippines - History of the Bagelboy Club". www.thebagelboyclub.com. ^ Leupp, Gary P. (26 December 2016). "Interracial Intimacy in Japan: Western Men and Japanese Women, 1543-1900". A&C Black – via Google Books. ^ "The Filipino Community in Hawaii". University of Hawaii, Center for Philippine studies. Archived from the original on 2007-08-09. Retrieved 2007-07-10. ^ "Ilocano". Ethnologue: Languages of the World. Retrieved 2007-07-10. ^ Joaquin & Taguiwalo 2004, p. 236. ^ "Subanen History" (PDF). Archived from the original (PDF) on 27 September 2013. ^ "Tagalog". Ethnologue: Languages of the World. Retrieved 2010-11-24. ^ Institute for Human Genetics, University of California San Francisco (2015). ""Self-identified East Asian nationalities correlated with genetic clustering, consistent with extensive endogamy. Individuals of mixed East Asian-European genetic ancestry were easily identified; we also observed a modest amount of European genetic ancestry in individuals self-identified as Spanish Filipinos"
^ "Tumandok epic: The Panay indigenous people's struggle for land". politika2013.wordpress.com. October 25, 2011. ^ K. Kesavapany; A. Mani; Palanisamy Ramasamy (2008). Rising India and Indian Communities in East Asia. Institute of Southeast Asian Studies. pp. 502–503. ISBN 978-981-230-799-6. ^ Mansigh, Lalit. "Chapter 20: Southeast Asia, Table: 20.1" (PDF). Ministry of External Affairs. Retrieved 2009-10-12. ^ "Overseas Indian Population 2001". Little India. Archived from the original on 2006-10-20. Retrieved 2009-10-12. ^ a b Joaquin & Taguiwalo 2004, p. 42. ^ "Background Note: Philippines". U.S. Department of State. June 2011. ^ "A glimmer of hope for castoffs. NGO finding jobs for young, desperate Japanese-Filipinos". The Japan Times. 2006-10-11. Archived from the original on June 7, 2011. Retrieved 2009-10-18. ^ "Jewish Times Asia". www.jewishtimesasia.org. Retrieved 2015-10-03. ^ "Koreans in the Philippines". Ministry of Foreign Affairs and Trade of the Republic of Korea. Archived from the original on 2011-08-13. Retrieved 2009-10-12. ^ "Smart launches text service in Korean". goodnewspilipinas.com. Archived from the original on 2008-04-12. Retrieved 2008-04-27. Ooi, Keat Jin (2004). A Historical Encyclopedia From Angkor Wat to East Timor, Vol.1. ABC-CLIO. Joaquin, Nick; Taguiwalo, Beaulah Pedregosa (2004). Culture and history. Anvil Publishing. ISBN 978-971-27-1300-2. Agoncillo, Teodoro (1990). History of the Filipino People. Garotech Publishing. ISBN 978-971-8711-06-4. Joaquin, Nick (1999). Manila, my Manila. Bookmark. ISBN 978-971-569-313-4. "World Factbook : Philippines". CIA. Archived from the original on January 11, 2010.